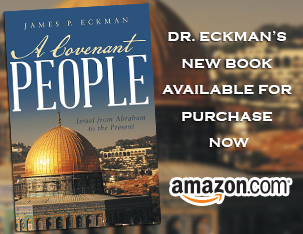 We begin a study of the Book of Hebrews: Dr Eckman reviews 7 significant statements about Christ & why He is the superior revelation of God, plus beginning discussion of His superiority over angels. Dr. Eckman closes out our study of Acts. Despite tremendous challenges, Paul’s journey to Rome continues just as God said it would, where Paul ultimately preaches the Word & teaches about Jesus. Paul pleads his case & the case for Christ before King Agrippa. Paul is taken into custody & makes his plea to Felix, the Roman governor at Caesarea, who leaves Paul in jail & his case goes unheard. The case drags on for 2 years, & is taken up by Festus. Paul addresses the Jews at Jerusalem, making his case with his credentials, upbringing, and zeal for God’s Word, in sharing how Jesus is the Messiah. The Sanhedrin become divided, which leads to a plot to kill Paul. Paul returns to Jerusalem: his presence stirs the city, leading to his arrest. Paul lays out a warning to the pastoral leadership of the local church, encouraging them to soundly teach the Word to their flock, while being aware of internal & external influences that can corrupt. The Lord works through Paul to defeat sorcery & false gods, and take back the city of Ephesus for the Kingdom. Then & today, the world is a battleground: the power of Satan versus the power of God for control of people’s lives. Paul’s Third Missionary Journey takes him around the Mediterranean region again. Ephesus is an important city, and Paul spends 2 years there, teaching & preaching to Jews & Greeks alike. Paul concludes his second missionary journey with a visit to Corinth. The Lord protects Paul, as local Jews bring him before the courts. Log in | 44 queries. 0.078 seconds.